Just as important as the exams is the interview panel (BA expect over 85% overall passing grade), and this is the book for those who want to deal with both - its purpose is to help you become a professional, for which the exams are but a step on the way - doing the bare minimum to pass them makes you ill-prepared to be a pilot, which is not fair to future passengers and painfully obvious to employers (and interviewers) who certainly expect you to have more than a basic knowledge. Those who want to see what they are letting themselves in for. Those who want to do some pre-study before starting a flying course. Those who cannot understand the materials on the course they are already on. Those who want a reminder of the trouble they went through! People trying to keep current while waiting for a job or an interview to turn up will also find it useful. 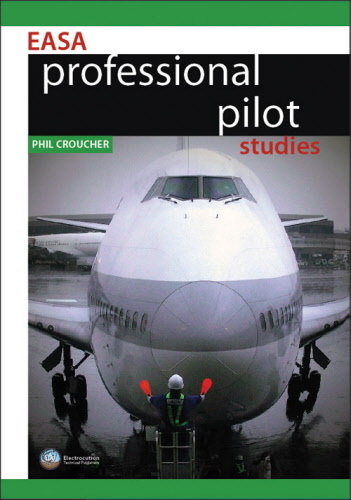 In fact, there's a lot in its pages you don't get taught in flying school, and a lot you should be taught, were it not for time constraints - many professional tips and tricks have been included to help make your transition to being a working pilot as easy as possible. Much of the contents are based on common questions asked during recurrent training, and known exam questions, and include the usual subjects, that is, radio, weather, law, flight planning, etc.